Following its success getting into IBM SoftLayer’s accelerator programme ‘Catalyst’ earlier this year, WeMine, a Hong Kong startup that specializes in developing WeChat marketing tools, has recently been admitted to Nanshan Shenzhen-Hong Kong Youth Innovation & Entrepreneur Hub (“Nanshan E-hub”). 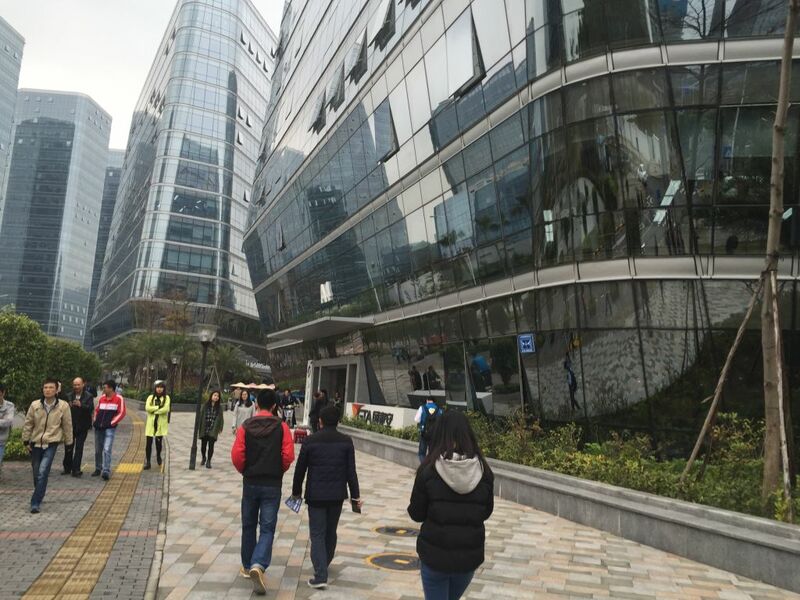 WeMine will be granted a full year rent-free tenancy in Nanshan Intelligence Industrial Park, home to Tsinghua-UC Berkeley Shenzhen Institute and many innovative startups. Despite the sluggish economy in China, by the end of 2015, WeChat has already accumulated 697 million active users, seeing a 39% YoY growth. On this vast land of opportunity where Mainland enterprises are still dominating the game, how do Hong Kong startups find their own places? As a member of IBM SoftLayer’s ‘Catalyst’ programme, WeMine has been receiving technical support from IBM SoftLayer to build an up-and-coming cloud-based WeChat platform. IBM SoftLayer has one of its data centres set in Hong Kong while having a network that connects directly to major cities in China. This arrangement addresses the concerns of many, including WeMine’s clients: data security is maintained without sacrificing network speed. “For MNCs, the protection of personal information and compliance with legal requirements are of high priorities. The edge we have over our Mainland competitors is our integrity and the systematic management culture we uphold.” said Horris Tse, Co-Founder and Strategy Director of WeMine, who had experience working in international corporations like AXA and Telstra, responsible for commercial process review, project management and business opportunity evaluation. “Developers of WeChat marketing tools in China mostly expertize in making template tools, which are simple and easy to use, and therefore very well-received among small and medium-sized enterprises. On the other hand, they fall flat in the area of expandability and flexibility, which most MNCs need because their marketing strategies are more complex and in larger scale”, said Horris. WeMine has always focused on using the WeChat public account to streamline commercial process and improve consumer experience. An example is assisting Infinitus (a health supplement manufacturer, subsidiary of Lee Kum Kee Group) to centralize the offer and fulfillment process on WeChat. Patrons of Infinitus are now able to order, receive confirmation and take delivery of purchases using their smartphones. The WeChat ordering system interface had also been customized by WeMine for maximum ease of use. Devising WeChat marketing strategies is another strong suit of WeMine. Horris and Co-Founder/Creative Director Jim Mau make use of their innovative thinking and insight into the Mainland market to design marketing campaigns for major brands, helping them to reach a broad audience in China. WeMine has assisted well-known names like Swire Foods, Lazada, Maserati exclusive distributor Auto Italia, Christie’s and Robert Walters to build custom WeChat management platforms and execute effective marketing strategies, allowing them to strengthen their soft power.